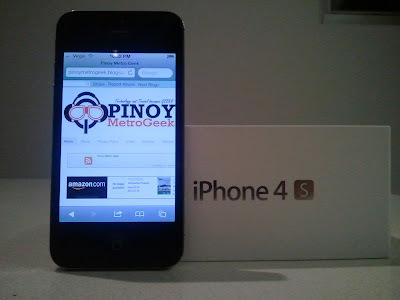 Globe CEO, Ernest Cu, confirms the arrival of the iPhone 4S in the Philippines throught Globe Telecom in the next two weeks in the Globe Event last November 22 at the Manila Peninsula Hotel. The event actually highlights Globe’s investment of $ 700 million (more or less Php 30 Billion) for all the developments of their infrastructure in order for it to cope with the demands of the of the latest technology such as IPv6 and HSPA+ or LTE. “While other telcos are making public announcement, we at Globe are silently preparing for the launch of the iPhone 4S in a couple of weeks,” Cu said in passing which caught the attention of the iPhone enthusiasts. So we could expect to see iPhone 4S in Globe stands in the second week of December, more or less. On the other hand, Smart has confirmed that it’ll also carry the said handset to be released in the last week of December. I wonder, which carrier would make a better deal out of the iPhone 4S? Place your bets now in the comments section. You think this article is cool? Please +1 us on Google and Send to your Facebook friends by clicking the buttons below.